Not sure how to convert or incorporate that sloped and used area of you yard or property into something useful? A1 Gardens maintenance and design Mulgrave, has years of experience dealing with and resolving these types of situations, and usually the best solution is a Retaining Wall which can be constructed from either rock or treated pine and can be designed to complement your property and unused space. All care is taken to guarantee a straight, secure and great looking retaining wall. Call the team at A1 Gardens, maintenance and landscaping today on 0418 524 302 to discuss your options and to arrange a quote. We guarantee that you will have 100% satisfaction with our service. The landscaping design process commences with a free no obligation on-site consultation which takes approximately 1 hour. At this point we will visit you at either your home or commercial premises and go through the property and offer suggestions in accordance with your ideas. Based on the consultation, we will then put together some design options and run through other construction ideas as well as material options and costs involved. Once the design and quote has been accepted and made any alterations, we will present samples of plants and materials for approval. Construction will proceed once final approval of plants, design and materials has been made. All work is carried out in a professional and timely manner as well as to a high standard. 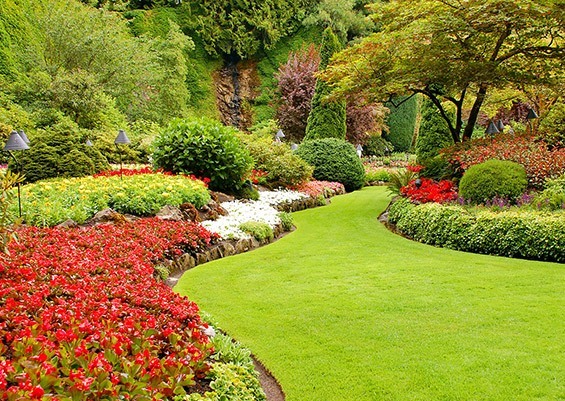 We never leave the job until finished and we will leave your new garden	and property neat and tidy.